Between 1913 and 1989, the coastguard, fishermen and members of the public sent the Museum their sightings of whale and dolphin strandings from around the UK coast. Now for the first time this data is being made public, allowing anyone to search the historic cetacean (whale, dolphin and porpoise) strandings records. Ellen Coombs is studying whale evolution for her PhD at the Museum, and has been delving into the strandings data to see what can be learnt from these historic records as part of a new scientific paper. 'It is one of the longest systematic cetacean stranding data sets in the world,' says Ellen. Between 1913 and 1989, all records of stranded whales and dolphins on UK shores were sent to the Museum. Since 1990, the dedicated UK Cetacean Stranding Investigation Programme (CSIP), funded by the Department for Environment, Food and Rural Affairs, took over the recording of these data, although strandings can still be reported to the Museum. Around the same time, the Irish Whale and Dolphin Group was set up in Ireland to record cetacean strandings there. In the 106 years represented by the full data set, there have been more than 20,000 reported strandings from 28 different species of cetacean. There are about 90 cetacean species in the world - so roughly a third of them have been spotted in UK waters. 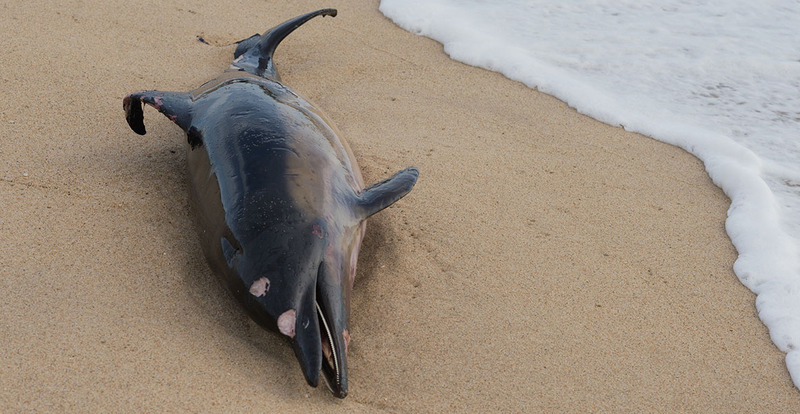 The majority of these strandings represent the most common species found in UK waters: the harbour porpoise, short-beaked common dolphin and long-finned pilot whale.